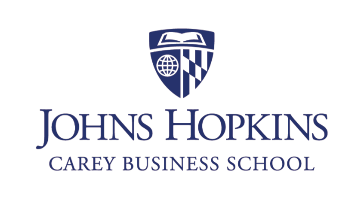 The Johns Hopkins University invites applications and nominations for the position of Dean, Carey Business School. The Johns Hopkins University seeks an individual with an entrepreneurial spirit to lead the Carey Business School (Carey) and continue to build on its rapidly ascending position in the business education field. Carey was named and formally established in 2007 and is embarking on an exciting time of growth in both its size and impact around the world. The next Dean will have a unique opportunity to lead an emerging business school at one of the premier academic institutions in the nation and develop a lasting vision for advancing the school into the future. The next Dean will be well positioned to build on the school’s existing interdivisional partnerships with elite programs across Johns Hopkins. Currently, Carey has 74 active research collaborations with other schools within the University, and there is a tremendous opportunity to establish new joint projects to further integrate business practices and Carey into the fabric of the institution. Over the last decade, Carey has significantly grown its full and part-time student base over 30% to 2,300 students, its full-time faculty over 400% to 103, and in just the last 3 years, Carey’s research faculty has grown over 32%. Created in the Johns Hopkins tradition of excellence, the Carey Business School is the most recent addition to the group of 10 divisions that make up the foundation of the University. Carey is an important financial contributor to the University and with a strong financial footing in place, the next Dean will be able to make a significant mark on the next chapter of the school - not only to continue its strength attracting students internationally, but also to build a significant impact across North America. After earning accreditation in record time, Carey’s senior faculty, full-time faculty, and staff have the drive and adaptability to support the new Dean’s vision for Carey’s next big step forward. The School is led by research-driven faculty and offers MBA, Global MBA, M.S. and Executive Education programs, in addition to joint degrees with Johns Hopkins Schools of Public Health, Nursing, and Medicine, as well as with the University of Maryland’s School of Law and the Maryland Institute College of Art. With campuses in both Baltimore, Maryland and Washington D.C., the next leader will have an opportunity to expand the school’s contributions to a vibrant and entrepreneurial business region through innovative research, programming, and student activity. Reporting to the Provost and President, the Dean is Carey’s chief academic and executive officer, responsible for providing strategic leadership, direction, and communication, advancing the school’s academic agenda, managing and building the school’s fiscal resources, and representing the school effectively and collaboratively within the university and to a broad variety of external constituencies. The successful candidate will have strong leadership and interpersonal skills, a passion to articulate the next stage of Carey’s development, a capacity to integrate diverse interest and forge a common vision, and enthusiasm to match the energy of highly motivated students, faculty members, staff professionals, and emerging accomplished alumni from around the globe. The Dean is expected to have a record of distinguished achievement that demonstrates the ability to further develop a complex enterprise, while providing outstanding leadership to the Carey Business School. The ideal candidate will have experience appropriate to the dean’s role and responsibilities and an earned doctorate in an appropriate field, distinguished scholarly accomplishment, and/or comparable professional achievements outside academia. Nominations and expressions of interest will be received until a list of candidates is put forward for final consideration. Review of candidates will begin immediately. Applications should include a curriculum vitae and detailed cover letter. Johns Hopkins University is an affirmative action and equal opportunity employer and encourages applications from women and minorities.